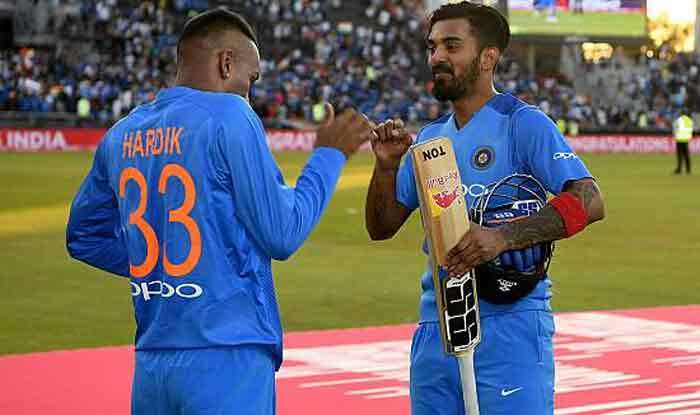 Banned Indian cricketer S. Sreesanth on Monday, chided young cricketers Hardik Pandya and Lokesh Rahul for their sexist and misogynist comments on the ‘Koffee with Karan’ show but also said that Team India need the “match winner” duo for the upcoming ODI World Cup. “I will only say that whatever happened was very bad, but the World Cup is around the corner. Both Hardik and Rahul are both good cricketers…,” Sreesanth told reporters. “I will only say to Hardik and Rahul, that surely they are both match-winners and sooner or later they will be back on the field. Yes, I know how difficult it is for a cricketer to miss the game and I just hope BCCI allows them to play, once they realise I am sure they should be playing where they should be playing,” the former India pace bowler added. “Yes, what happened was wrong. They said some wrong things. But there are others whose have made bigger mistakes than these, who are still playing and are in different fields not just cricket. The same people are speaking about this. When they see an opportunity they pounce on it like tigers,” Sreesanth said. “On top of that, if my ban gets lifted this month or next month, then I will be the happiest…,” he said, adding that if the ban is eventually lifted, he would like to test himself in first-class matches before taking a call on fighting for a chance to represent Team India again. Sreesanth said that he would just walk away from the game if he realised that he is not up to scratch. Sreesanth was arrested in a spot-fixing scandal in 2013 and was banned for life. “If not, I will call it a day because a lot of youngsters are there and it will be great for Indian cricket as well as my Kerala state. I should not be hanging around because I am Sreesanth and the ban got lifted. I will be more than happy with all the respect. If I am not doing well, I will walk away from the game,” Sreesanth said. “I will also use my popularity to lift my party. My party is like a family to me. I will work with them,” he said.